I have been slaving over this wall for a while and I finally got to a stopping point. These are trash/scrap pallets from the factory, detailed here. I finally got all the boards nailed and glued up. I'm working on a piece of furniture to hold all the baskets of movies and junk next. This project required my new nail gun and compressor, my miter saw, & construction adhesive, mainly. I am so in love with my nail gun that I may possibly marry it. It is that awesome. EDITED: This post has made its way around the internet and I just want to add: my pallets are not treated with chemicals. My employer uses a local source. I went to two different pallet companies in this town and neither one was using chemicals. In fact, nobody wants them that way for shipping because it's more expensive to get them treated. One of my bosses told me that we don't do that unless it's required by a government (when we ship to Canada we have them sealed but not with chemicals like pesticides, etc.) I asked about chemical treatment and he laughed. He said "no way"....I don't know where these rumors are coming from, I'm guessing that pallets coming from overseas (read: China) might have this issue, but I can't say for sure. 2nd edit: here's an update on the living room. I wish I were brave enough to do a wall like that. I love it with all of it's rustic glory. It's gorgeous! I'd love to do this in our family room - someday when it makes it to our to-do list. You did a fantastic job. I love it all natural! Beautiful! It's looking awesome! Love that you did that out of factory scraps! Katy I'm a pallet lover too, constantly ripping them apart (thankfully never poking out an eye) and making crates, signs and stools with them but I love, love your wall. Tiny bit cabin in the woods meets modern family. Well done. WOW! HOly moly that's a lot of work. Totally awesome that you got all that wood for FREE! I am going to remember that next time I need wood for anything. It could be sanded down for practically any project...Nice! Ohhh Love!!! And painted white or not either way -it sure is cool! Nice wall! Thanks for visiting my blog. It's nice to see another SC blogger as I haven't discovered many yet (though I'm sure they're out there). Are you anywhere near the Lowcountry? My husband is an ME. You people are great for the mechanical side/specifics of DIY! Your house is gorgeous! Great transformation. Found you through Met Monday. I guess I should have looked at the link you posted before my comment!! Great idea with the sawzall. What a great use of those pallets. I really like this idea and even like the shade of the wood as it is. Katy I LOVE it!!!! Wow!!!! Love, love, love that wall!!! I think it looks great without paint! Great job! I love it! 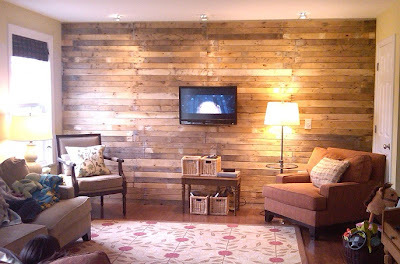 I am planning on doing this to the huge wall in my dining room this summer :) I am collecting all the free pallets from craigslist! It looks amazing and you did a fantastic job! Wow--fantastic job--you are making some major changes! I like the way it looks now, but love your inspiration photo as well. 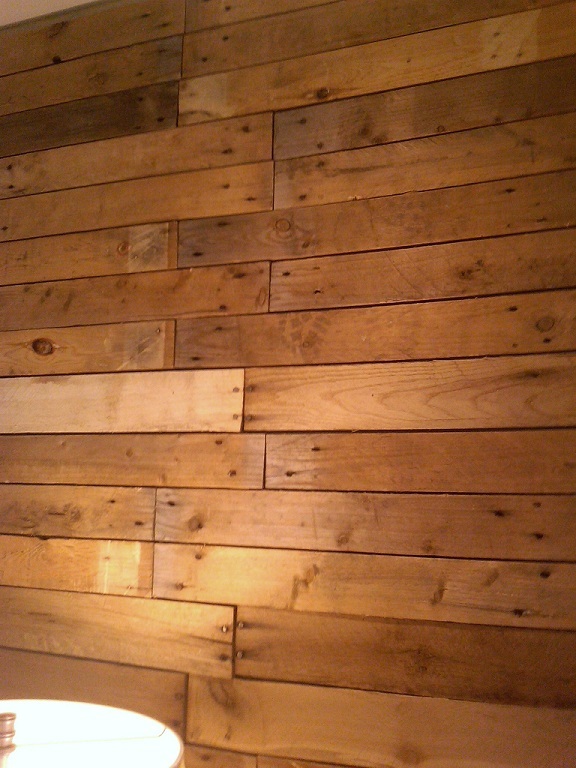 That looks amazing, I love the rough look of the wood! 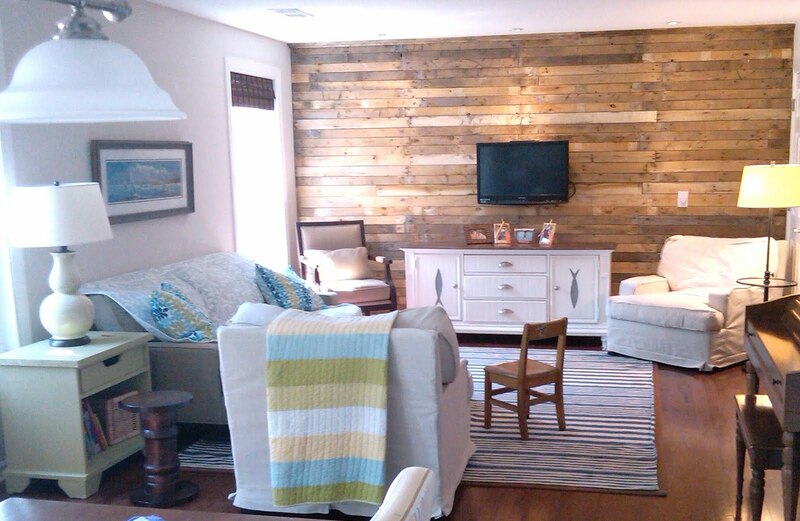 The texture and different rough tones of the pallets really add character to the room. I'd keep the wall as it is and paint the furniture if you want to lighten it up. go YOU! that looks fantastic! btw, i just got a nail gun too (early birthday present)...too fun! THAT is beautiful. Really really cool and I would never paint it. You are totally my hero and now I want to go and find pallets. Fantastic! I am so inspired - would love to palletize my son's room! I love the wooden wall just the way it is! Its gorgeous! Bravo! I love the look of the rough wood, but I also love the white wall too! You have got a hard decision to make! It looks amazing! So clean and slick with just enough rustic thrown in not to look cold. Great job! I would never paint that. Not ever ever. I was thinking about faux bricking a wall in our master bedroom, and your pictures just convinced me that this will be the way to go instead! I love the rough unfinished look. This is so impressive! Nice work, I love your creativity! I also laughed at your 'about me' part. I think we could be friends! LOL. Your family is surely lucky to have such an energetic Mom! Wow- I am so impressed- I love the upcycle element of the process and adore how it turned out- Good for you! Found you through AT and I'm so glad I did! Love your wall. Lots of hard work, but the result is amazing! 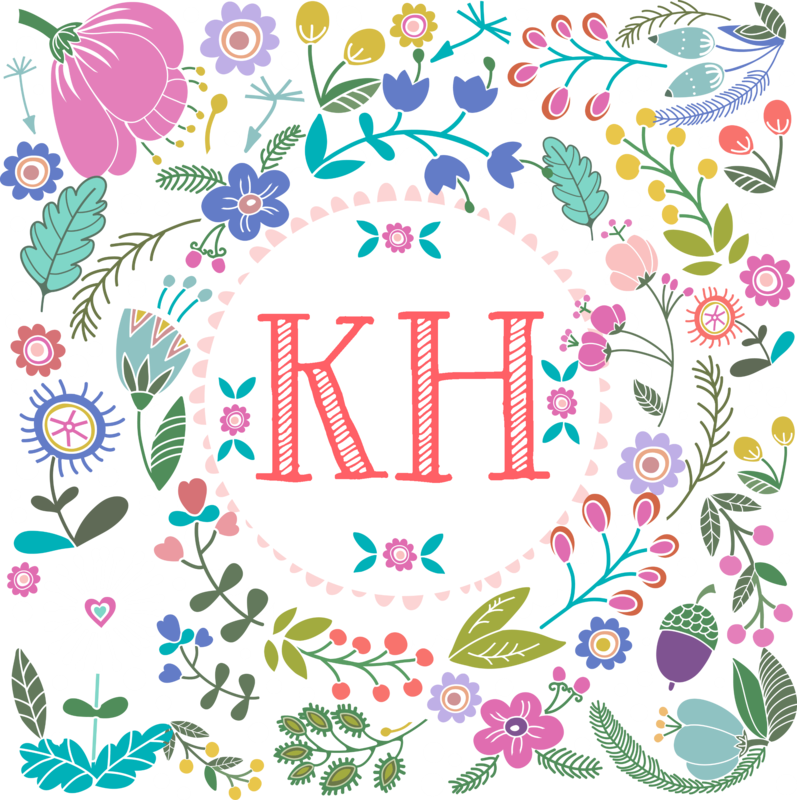 I picked you for the Stylish Blogger Award! You can go to my blog and get a copy of the award (copy and paste the award button)along with instructions. Holy Cow...that wall is awesome! I love the rustic look. Don't paint it white...just use more white in other furniture, and your accessories. A-mazing! Love, love , love it! Thanks for sharing! Beautiful!!! 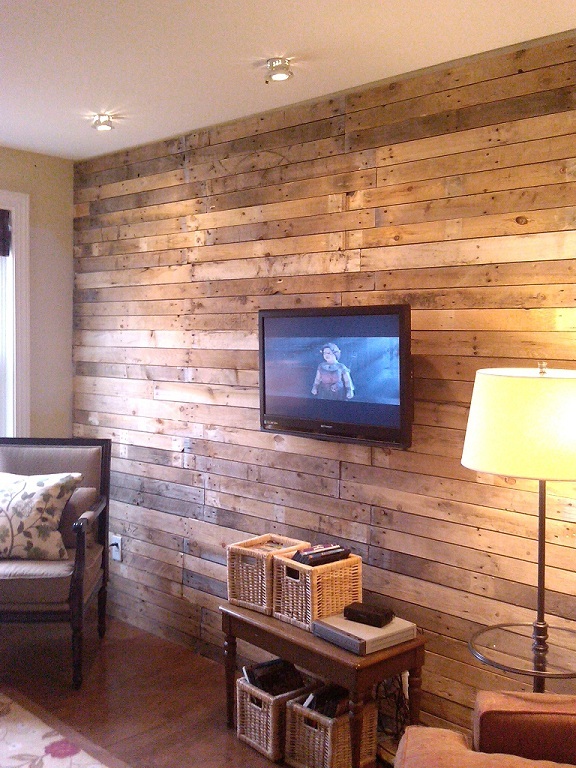 I would love to do something similar in my dining room...better start collecting pallets, :)Great job! Stopped in from Better After. Please don't paint those planks! They look amazing as is! Woman, that wall is freakin awesome! Don't paint it. Please don't paint it. Hot dang, now I want to do that in my house. Will you come help me? Totally love the wall..If you want more colour..why not throwing in some colourful pillows? I love your wall!!!! So GREAT!! *LOVE*!!! I really want to do this in my sons room one day. it looks fantastic! Love this! We're building a new house and I'm keen to give it some rustic charm and character. This is perfect. this is SUCH an awesome DIY. I LOVE it! Totally going to blog about it tomorrow. thanks for sharing!! I love this- and the sawzall is a way better idea than pulling out all the nails I don't know why I've never thought of that before! This is fabulous, I am absolutely coveting your brilliant idea. And so beautifully executed. Gorgeous! Your wall is gorgeous -- much more beautiful than your inspiration picture! Beautiful job! AWESOME!!!!! I am going to do this too; thanks so much for the idea!!! Also the kitchen is inspiring! Your wall is completely amazing! I just got a link to it in my comments. I'll be asking you later if you wouldn't mind me reposting a photo on my blog. VERY cool!!! i have to add you to my reader to see what other fantastic ideas you have! I am sooooo doing this in our gameroom. I love it. GREAT idea. holy wacka molie! I love this wall, it's a dream come true! Can't believe it took me this long to find you and your drill! I love your wooden palette wall! I looks gorgeous! I love reading your blog too. I wish you to stay as you are - happy! I am totally jealous that you have a nail gun. Those things are so cool. LOVE the wall!! I was googling pictures of a reclaimed wood wall in al iving room and found yours. :) I am dying to do this, and was wondering how you secured the TV to the wall? Did you attach the boards directly to the wall or did you crate a base with plywood? Sorry, lots of questions! Katy,Your wall looks amazing! I'm glad you didn't paint it! Was it difficult to find the studs to secure the wood to? 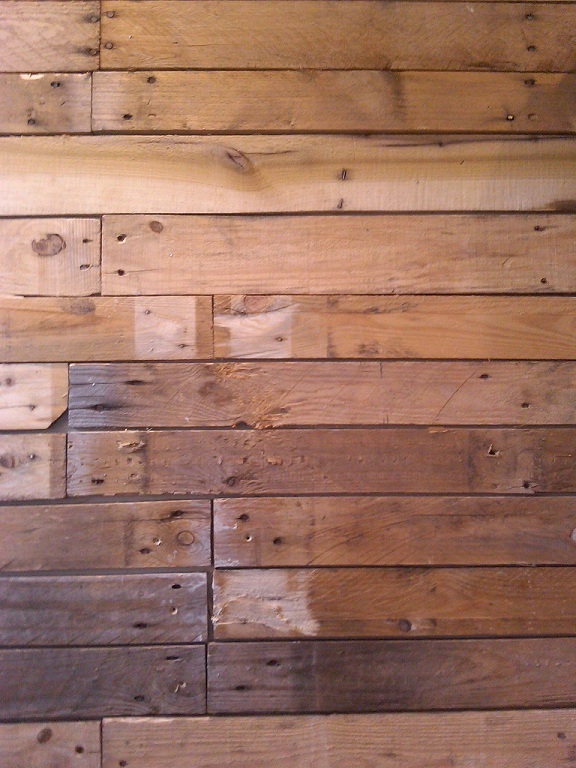 Did you slather each piece of wood with glue prior to nailing them to the wall? 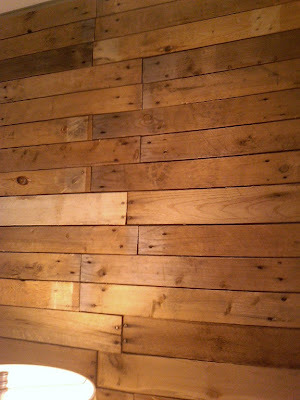 I am going to either do this on a wall in my living room or google to see if I can d this as flooring! Already scanning Craigslist to find pallets! This is GORGEOUS! I totally want to do this! Just to answer your chemicals question, as a former "international shipping of products person" I just wanted to say that yes, when pallets are shipped to other countries (certain countries like Australia are really specific), they are required to fumigate any and all wood packaging materials. It seems no one wants anyone else's bugs. Domestic packing supplies don't have to deal with this. Congrats on such a beautiful repurpose of "scrap" wood. Love the wall and love that you have the balls to cut the wood and yell at your kids too! I want to do this around our big garden tub...you give me inspiration! I'm so glad I found your blog, and I love your wall. I am definitely going to do this to mine. It looks fab! It very cool and modern. Love it. Amazing! You did an awesome job of keeping it all even! Love it and we are gonna try it! How many pallets did this require? I live in Brasile loved your idea and my house is being renovated. Will you give to me through step by step how you did this beautiful trabalho.Se I can send you pictures. 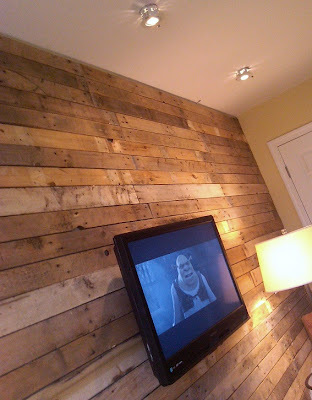 Your wall looks gorgeous, love the rustic look to it! I have this linked to my plank walls post too today, well done! It looks amazing! Well done you!Found it via Pinterest! Awesome. I work in shipping and really want to remodel my crappy office, using pallets, but not sure if my employer would be pleased! Your work is great, and I'm glad to see someone answered about the chemicals. Also, most pallets that are treated should have a stamp on them. If you google WPM or ISPM-15 you can see what that looks like. I did a wall like this with "Surveying Lath" My friends thought I was nuts - but when I invited them after I finsihed the job, they were amazed ! It was a lot of nailing and cutting the lath to different length, but it was fun to see the finished product. Oh I almost forgot, I installed the pieces vertically. 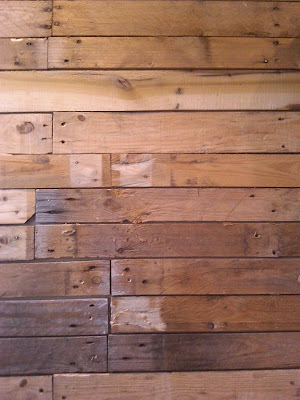 I am soooo in love with your pallet wall. I have started collecting pallets because there are so many awesome projects I want to do with them. They are harder to find than I had been told and the ones I have are kinda like junk. I guess that is some of the beauty about them is that they are unique. Your blog is amazing and your talent is definitely "on top". I hope I will be able to do just a few (1or2) of the projects I have in mind. Do you have complete tutorials for the "challenged" people? Something like Pallet projects for Dummies". I was given a Nailer/Stapler recently and although I know nothing about power tools, I will learn. What a striking difference! I love it! I don't usually comment on anything but, I had to tell you what a good job you did. How did you hide the tv cords? Are these slats stained on this wall or natural variation in color? It looks awesome and would love to do this in my living room.